Officially licensed rubber Batman bracelet set. 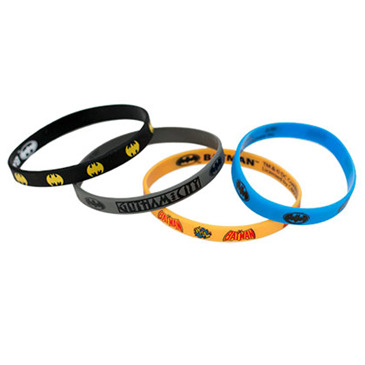 Features four bracelets with various "Batman" logos. Made of rubber.